It’s said that the Internet is the gateway to just about everything. And, as we have all come to learn in the course of the past two decades or so, it’s largely true. But then, there’s a gateway to the internet as well – the web browser. 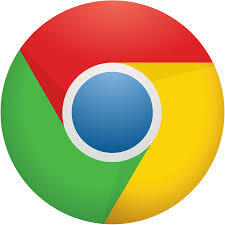 And when it comes to the browser, you are spoilt for choice with old and new players vying for our attention. Here, we round up some of the most exciting browsers detailing their pros and cons. In this article, we will learn various browsers with their features and what makes them special from each other .So it's time to go beyond the usual Chrome and Mozilla and have a look at some of the most unique and exciting web browsers present in the world. To call Vivaldi as just an offshoot of Opera is neither here nor there. Yes, the browser is created by Opera’s founder, Jon Von Tetzchner and there are nods to Opera that are evident in Vivaldi. But that’s not the whole story, not by a long shot. Let’s start by looking at what does bear semblance to Opera in this one. The grid of your favorite websites that automatically appears in every new tab is practically a replica of how it’s with Opera. The integrated mail client concept – not unique by any means to Opera was still a feature that appeared in that browser, and which faithfully replicated in Vivaldi as well. As for deviations from the norm, the browser allows you to dock tabs on any side of the screen – on the top or bottom as well as right or left. One feature that helps make the interface less cluttered is the option to form groups of tabs. The groups can be formed based on the nature of the websites that fall under one – entertainment related tabs can fall inside one bracket. This is certainly a welcome feature given how we have to contend with a plethora of tabs with many current browsers. The creators of the browser seem to have an inclination to please power users, for the number of keyboard short cuts available on the product is quite impressive. And it’s also heard that they are coming out with spatial navigation so that you won’t have to lift your fingers off the keyboard to navigate the web. Yet, another feature of interest is the one to create notes on web pages (one which, now that we think about it should have been there in many earlier browsers). That can certainly be useful; however, in the current version of the browser, we didn’t get a smooth experience with the feature. What’s special about it: Vivaldi certainly is one of the better browsers doing the rounds. With features such as group tabs and their experimentation with the interface (including, even filters that allow you to view pages in sepia or black and white) it’s a fun browser to use which aims at a clutter-free browsing experience. However, the current version of the browser comes across as more of a teaser for its greater potential. 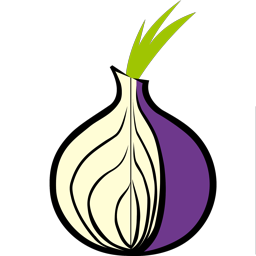 On the face of it, the Tor browser may look like one designed to aid shady characters – for Tor’s USP is that it prevents other people from tracing your online activities. The browser effectively scatters your traffic route across relays spread across the world which makes tracing your IP address almost as tough as hitting a bulls eye while blind-folded. However, all this technical bravado is not to aid less-than-honorable activities (at least, it needn’t be). Say, for instance if you have to report a misdemeanor of your employer, this is your go-to browser if you’re shooting a mail to the higher-ups from within the organization. You can even run the browser from a pen drive, making it unnecessary to install it in your computer. Yes, the browser’s creators seem extremely serious about you going incognito. On the flipside, we did encounter hassles – the most significant of which is that the browser functions at a lower speed than its peers. And, it’s logical to assume that since your location is rarely static while using it, services that provide you information based on your current location may fall short of your expectations. What’s special about it: The quintessential browser for whistle blowers is not meant for day-to-day browsing. 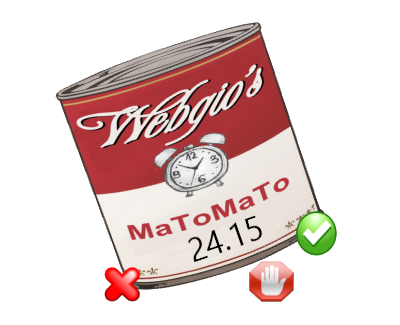 It’s slower than most popular browsers and the list of features is also limited in comparison. We can’t help but wonder how it’ll be if they could improve on those counts and have the incognito mode embedded in it as an option at the same time. Qupzilla looks pretty much similar to most mainstream browsers. But going beyond appearances, you do find certain subtle distinctions which are of value there’s the feature which allows you to consolidate bookmarks, history and the RSS reader in one window. That, as you can imagine will make things clutter-free for you. Other features found in the browser include integrated Adblock and the option to send the Do-Not-Track header. With Qupzilla, you also have the option to browse in private mode – a standard with most browsers these days, the Speed Dial option to quickly access your favorite websites is also present. You can stylize Qupzilla with the multiple themes that come with the browser package. Though the Internet has quite a few articles praising the speed with which the browser functions, in our review we found that while the speed is comparable with browsers including Chrome, it’s not exuberant. Why you should try it: A quality browser that’s user-friendly. Where Qupzilla falls short is in the number of extensions available, especially when you compare it with the likes of Firefox. However, if you don’t require as many extensions and could find satisfaction with a minimal set of add-ons, by all means go ahead with this one. Everyone’s “Been there, done that” browser, Chrome still remains the most popular browser in the world and for good reasons too (not least of which is its incredible compatibility across platforms). Also, the minimalistic design which Chrome pioneered, works extremely well on multiple devices – be it a panoramic desktop monitor or a smartphone screen, the experience you get is seamless. One other factor that makes Chrome such a favorite is that you’re Chrome data will be made available across devices, thanks to the fact that you have a Gmail account – and it’s hard to find someone who doesn’t have one. Google has always displayed a knack for understanding their user’s wish to simplify matters and respond accordingly – the box which clubs the URL field and the search bar into one is a case in point – something that was introduced by Chrome and was picked up by everyone else. Why you’d want to stick to it: Chrome is a great browser for two reasons: its cross-platform compatibility and its ability to handle intense browsing sessions involving a large number of tabs rather well. Yes, you feed the monster more RAM and it’ll will treat you well but once you open up too many tabs it starts breaking apart. For those who are concerned about sharing sensitive data with the giant, it’s another matter altogether. For some reason, Mozilla calls its extensions as add-ons. Whatever be the name by which they are called, there are quite a few of them, most of which are meant to give you more customization power. However, Firefox takes a beating on the appearance front, especially when compared to its main competitor, Chrome. For instance, in the latest version they have retained the additional Google Search field on the top of the window – something they could easily have avoided given how the address bar couples as the search bar too. Coming back to add-ons, the latest version – even though it boasts of many extensions doesn’t offer much in the way of unique varieties. 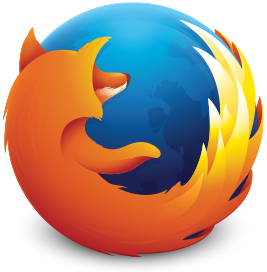 But there is one feature of the browser which we particularly liked – Firefox Hello. It’s essentially a video chat service like FaceTime and Skype. So, we know what you’re thinking – why do you need it? Well, what makes Firefox Hello useful is that with the interface, you can call anyone with a Chrome, Opera or Firefox browser, which when you think about it makes sense given how not everyone will have services like Skype on their system unlike a browser which is sure to be present. Our verdict: Even though its customization tools are welcome, they fail to add significant value to the browsing experience. Having said that, it’s still one of the better browsers around, and with introduction of features such as Firefox Hello, it’s steadily improving. If you’re looking for a browser with a distinct visual interface, Opera is not that one. Adopting Chromium, the browser shares in terms of visual aesthetics with Chrome. 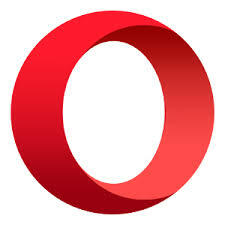 But there are a couple of features here which make Opera a worthy contender in the browser race. The Discover feature, for instance, is a useful tool for the news-hungry. It offers a selection of new stories that can be consumed without taking too much time – just the kind of thing that the pressed-for-time modern consumer requires. Then there’s the Speed Dial which enables you to open tabs alongside a grid of thumbnails of your favorite sites – not a unique feature but one that’s designed better than the ones in Chrome and Firefox. The Turbo mode is essentially what makes Opera stand out from the crowd though. Using this mode, you can improve the speed by saving bandwidth and compressing data-something that’s extremely useful in low-bandwidth conditions where many places still have less than great internet connectivity, particularly when it comes to Wi-Fi. Another feature worthy of mention is the one that enables you to restore browsing session as you boot it up – you can even set this feature as default. Our verdict: Though many of its features are identical to those of other mainstream browsers like Chrome and Firefox, Opera does offer distinct services that make it a serious option. In other words, you can do worse than choosing Opera to getting into the net. The fact that Internet Explorer is soon poised to go obsolete – with Microsoft focusing more on the Edge browser for Windows 10 as its mainstay, is not necessarily a good piece of news for Internet enthusiasts. For, as we found out when reviewing the browser holds up pretty well when compared to its peers, and it does have some of the best intuitive designs incorporated in a browser. However, there’s no favorites tab to be found here but it’s possible to pin web pages to the Windows Taskbar. The browser also has a unique feature – Tracking Protection facility. This feature sends Do Not Track requests to the sites that try to get in touch with your browser. For the review, we tried it out on Windows 8, which is supposedly the best platform for the browser. Our verdict: IE may be on its way out but it’s still a cool browser, if you can overlook minor design glitches like the strip that appears just above the web content, making the portions above and below it look like they are in two different windows. 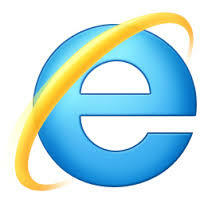 Also, keep in mind that Microsoft has discontinued support for IE for Mac users. 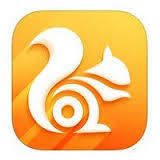 The UC Browser is getting a lot of traction in both China and India – meaning it’s supposed to work well in lower Internet speeds. And as we found, that assumption turns out to be true but there’s a catch. While you are able to browse faster with a slower connection, we had to keep closing other programs running in the background to facilitate the same. In terms of design, there’s nothing to gloat over here – the browser decisively adopts a non-minimal look, maybe to make itself look different from other browsers, but it doesn’t really help in any way. The browser supports all the Chrome extensions and the great news is that it syncs perfectly across platforms. But where UC scores the most is with downloads. As mentioned before, it works well even with low internet speed, which means that your downloads won’t get interrupted as it happens with other browsers. Our attempt was with the PC browser though. Our verdict: A clunky interface takes the charm out of this browser which is still a good choice for those with slow Internet connections. It’s recommended for PC but if you use your machine for offline CPU intensive functions, the browser may not function as well as it should. PS- If you liked the post then share it to your friends using facebook,twitter or any platform you use.And if you have any queries post in comments.I would like to hear from you. (Links are allowed to your content).If you have any other method then please notify us.